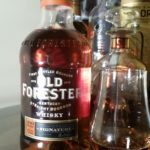 Old Forester Signature deserves a place on a home bourbon bar. The value is a no-brainer at this price, and the flavors are complex and well developed. 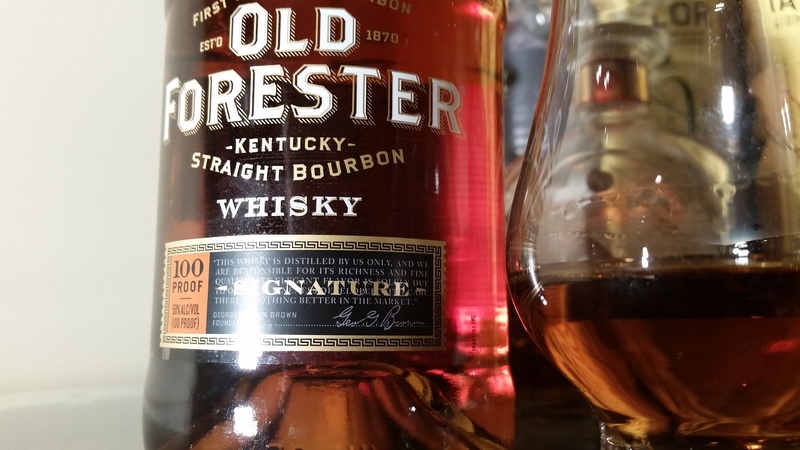 Old Forester Signature is a 100 Proof Expression of the standard Old Forester Classic (bottled at 86 proof). It uses the standard Old Forester mash bill. 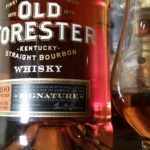 Old Forester is a venerable brand, apparently the first whiskey sold in sealed bottles to the public. Prior to prohibition, whiskey was sold mainly wholesale in barrels directly to rectifiers, retailers, and drug stores, etc. Those organizations then blended the whiskey, or brought t down to whatever proof they wanted. Frighteningly, many added coloring and flavoring as well, some of which included tobacco juice for color, and even iodine. 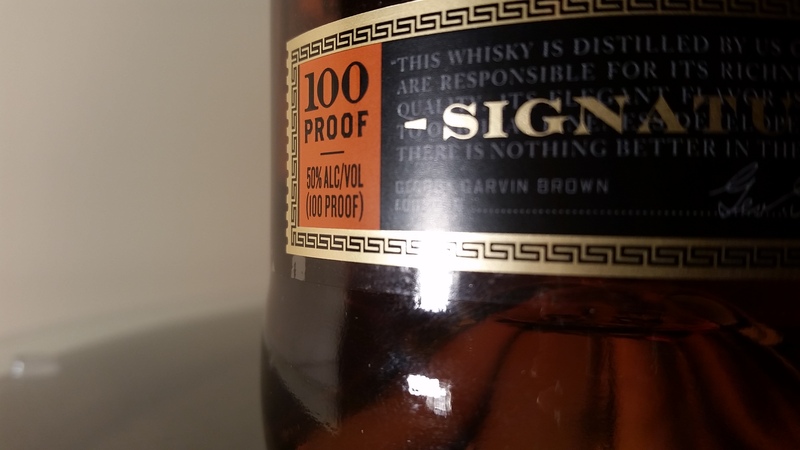 In 1870, George Garvin Brown saw the need for a whiskey that consumers could be confident actually contained only whiskey. He sold his product exclusively in sealed glass bottles. Thus, the consumer knew no coloring, flavoring, or water had been added by the retailer. Brown’s company, if you haven’t already guessed, eventually became Brown-Forman. His bourbon eventually became Old Forester. I sampled this whiskey as a lead up to the first of an upcoming series of blind tastings we will be publishing here on the site. 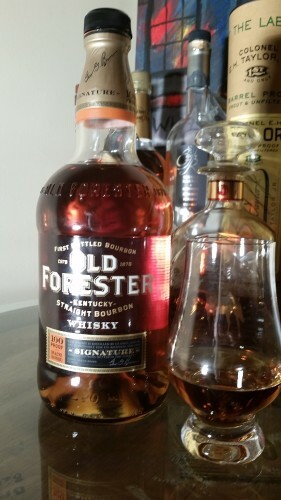 The first will be a comparison of three Old Forester products, two of which I have already reviewed: 2014 Birthday Bourbon vs. Old Forester 1870 Original Batch vs. Old Forester Signature. Distinctive round bottle with screen-printed logo. It won’t stand out on your liquor shelf, but it does not look cheap or unattractive. Graham crackers and brown sugar dominate the nose. There is a follow-up aroma of something that reminds me of clean spring water. this hits the tongue somewhat hot, but there are definite sweet flavors of peaches, ripe banana and plantains on the tip of the tongue as well. The back fo the mouth gets hints of oak and butterscotch, but this is not an oak-forward flavor profile. Medium-Long with some lingering cinnamon and spice. The oak seems to grow a bit on the finish. This is a very solid bourbon for the price point. While I would prefer an age statement on the bottle, I would hazard a guess that this is aged around 5-6 years in the barrel. 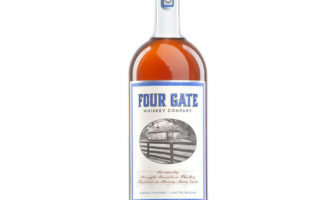 Perhaps another year or two would bring some more oak and sweet caramel flavors to the forefront, but as it stands, it’s a very drinkable and approachable bourbon already. I’d love to see a slightly longer-aged version of this released on occasion, although I suppose you could say that’s already happening with the annual 12 year old Birthday Bourbon release. So maybe they just don’t need to mess with it. 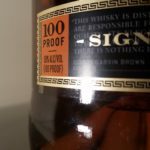 The 100 proof expression is probably about right on this. I certainly wouldn’t want to water this down past 90 proof, as it is just a little thin on the tongue, but not to the point to which it detracts from the flavor. 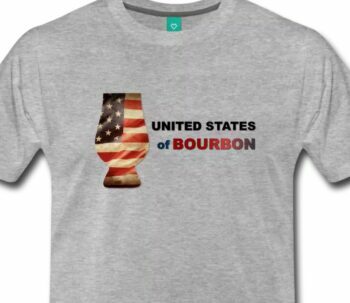 Nevertheless, this bourbon would no doubt work in a myriad of formats. I recommend neat, if you can handle the proof. But at under $25, it’s also going to work perfectly cocktails, particularly since its 50% ABV will stand up to even the most sticky-sweet of mixers. I can’t help but think that an Old Forester Signature Manhattan might be the perfect bourbon cocktail. But either way, this deserves a place on a home bourbon bar. The value is a no-brainer at this price, and the flavors are complex and well developed. 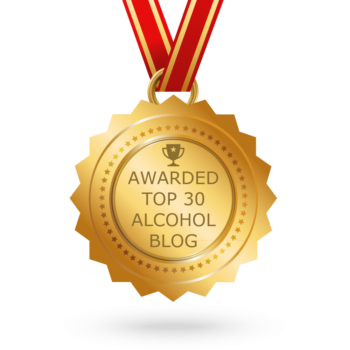 I would not hesitate to say that I actually prefer this to Brown-Forman’s flagship premium bourbon, Woodford Reserve, as this avoids the underlying metallic flavor I get on the finish of Woodford. Those who appreciate Evan Williams Bottled-in-Bond, Four Roses Single Barrel, and Buffalo Trace should definitely give this a sip.